A shooting, casting, location and development AP, confident at shooting for broadcast, editing, writing and casting. I have experience working in studio and on location in the UK and overseas, on factual entertainment and entertainment shows. Have great interpersonal skills, so work well with talent and contributors. I can set up shoots, script shoots, direct talent and contributors and shoot using the Canon XF305, C300, Sony PMW200, PMW300, FS7. Last year, I came 2nd place in an ITV Short Film competition (https://www.youtube.com/watch?v=fShSXLfKsNw). *Creating, researching and pitching factual & fact ent ideas for UK and US broadcasters. *Gaining access to institutions and casting contributors and talent in the UK and US. *Organising, shooting, sourcing archive, scripting and editing taster tapes. Cast, produced, and directed five short films about extraordinary teenagers for Channel 4’s All4. Cast child contributors, interviewing them and writing biographies for commissioners. 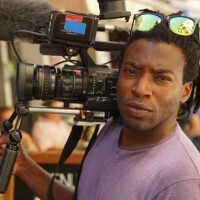 Shot activities, actuality and interviews using the Sony FS7 and Sony PMW300. Worked as contributor liaison between the tourists and producers. Cast eccentric British characters for a commercial campaign for the Cooperative Bank. Conducted research online to find characters and their contact details. Interviewed characters over the phone, wrote up their biographies and pitched them to the Casting Director. I am currently working as a Shooting and Casting Researcher for a corporate client - solely sourcing contributors, setting up shoots with them, filming them and editing them for the client to release on their social platforms. I have set up an application process, creating rules; an application form; rejection emails; and rules. After casting applicants, I then organised backstory filming with each one - planning the shoots, creating a running order for the final cut and filming it on the NIkon D4S with interchangeable lenses. Then cut the videos, scripted and arranged the voiceover and released them on YouTube. Office runner and location assistant for a Christmas special shoot. Studio runner for the Christmas Special. Working in studio as a runner and logger with a PSC crew. Also worked as a runner on a VT shoot. I also spent a day in the edit, assisting the editor and PD by finding music and doing sync-pulls to gain experience. Searched for cast for the next Auto Trader advertising campaign. Conducted interviews on telephone and Skype. Assisted in the production of Production Bibles, consultancy clips and creative events for Shine Group formats such as 'MasterChef' and 'The Biggest Loser'. Created a MasterChef International Challenge Guide, and provided ad hoc assistance to global productions of 'MasterChef'. I solely filmed and edited footage for Shine Group events and talking head interviews using the Canon XF300 and Final Cut Pro X. Assisted the Acquisitions team at Shine International for MIP2013 - organising an event and preparing materials for an internal pre-MIP event and reporting back to producers post MIP. Reviewed new shows and formats and liaised with global sales colleagues to analyse their international sales potential. Joined Shine Group as a Creative Access Intern, rotating around departments at head office. Received training on shooting (with the Canon XF305 and Sony PMW200), researching, social media, copyright (artistic, literary and music) and health and safety.